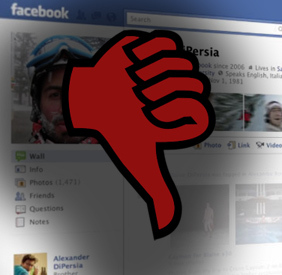 Do you really hate the “New” Facebook? Photos: It was a smart move to focus the improvements on what brings users back to the site time, and time again – the photos. Last year alone there were over 2.5 billion photos uploaded each month. It’s now faster and easier to browse your friends’ photos and quickly share yours. The focus on photos is reflected in Facebook’s introduction video that doesn’t show much else besides dynamic photos. “New experiences”: This upgrade gives you the ability to list the projects you complete at work and the courses you complete at school. This new feature is a curious addition that may be an attempt to gain market share on LinkedIn and solicit more user information critical to the effectiveness of Facebook ads. It will be interesting to see how this is embraced (or not) by users. “Featured friends”: This new feature allows users to sort and categorize friends based on how they are connected through real, in person, relationships – “colleagues”, “hometown friends”, “band-mates”, “soccer team”, etc. The social value in this feature is unclear at this point and I’m not sure users would be inclined to sort though their hundreds, or thousands, of friends to segment them into specific groups with little benefit to their day-to-day activity on Facebook. Privacy: The new profile maintained my custom settings (at least on my account), so that’s a victory for Facebook over previous upgrades. Final thoughts: I understand that some people hate change, but it’s a great sign that Facebook continues to innovate and bring users more options. What users like will stay, what isn’t used will fall off the radar. My suggestion would be to use it for a month and get used to it. If you don’t like the new features, don’t worry about it: they will fade away in the next update. User backlash happens everytime….we all remember a similar outcry the last time we had an update in 2008.